Homtom is indeed one of the well-known brands that often presents contemporary trend designs to be packaged with low specifications and given low prices, providing its fans with all-new smartphones with a decent combination of price and quality. 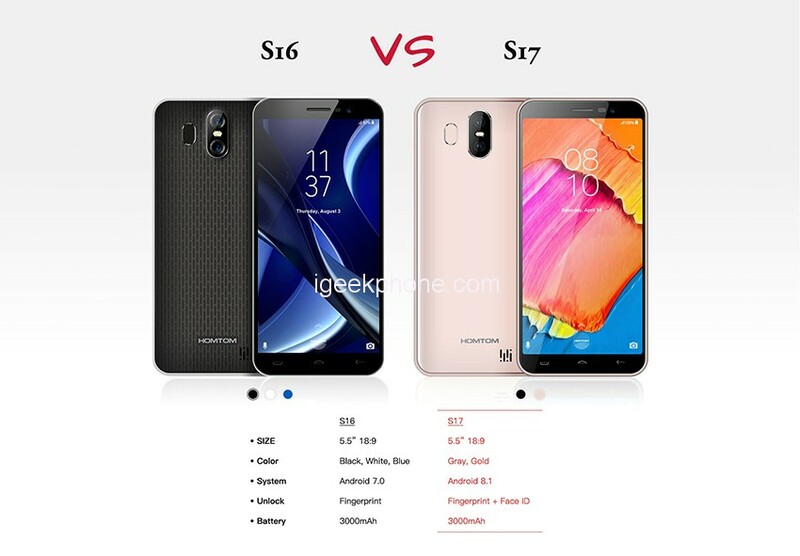 Below, Today we will be looking at the comparison between the Homtom S16 vs Homtom S17 to see which one will make a wise buy. HOMTOM invites you for the HOMTOM C8 Giveaway publicly and entrants get chance to win your dream phone. For be a contestant in this Giveaway, you have to read out given Giveaway rules and then enter in it. Lucky and active winners of Giveaway will win a HOMTOM C8 Smartphone. The contest starts on March 11 and ends on March 21. Giveaway results will be announced on March 26 and selected lucky winner to receive a Free HOMTOM C8. 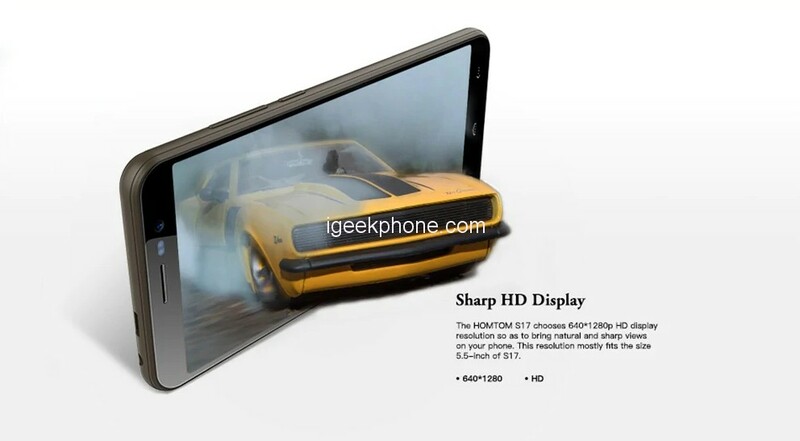 The Homtom S16 and Homtom S17 both adopt a 5.5-inch large full screen so that the view can be displayed more completely. On the other hand, choosing the 18:9 Aspect Ratio makes it look slender and slimmer. See more but hold less. With quite a big but affordable size and 18:9 aspect ratio, the Homtom S16, and Homtom S17 both are such a sleek and ergonomic smartphones. Hold it in one hand, make it more convenient. The Homtom S16 and Homtom S17 both have 640 x 1280p HD display resolution so as to bring natural and sharp views on your phone. The HOMTOM S16 picks out three gorgeous colors which make you smell of vigor of youth— Macaron Blue, Noble White, Gentle Black. These three colors perfectly reflect the texture of the special back cover, giving you a sense of refreshing and relaxing feeling. The elegant S16 will be your best selection in the Autumn, and Homtom S17 comes with a metal body which makes it strong and durable. It also adds a metallic shine to it which is an add-on to the looks. It comes in two color variants- Gold, and Black. These all are amazing colors. The color choices give excellent options to color perfectionists. Being a metal body phablet is quite heavy. Homtom S16 and Homtom S17 both low-budget devices are powered by an MTK6580 processor with four cores and a maximum burst frequency of 1.3 GHz. The SoC is supported by 2GB of RAM. The flash memory of 16 GB can be further expanded with a microSD memory card by an additional 32GB. This processor the quad core makes it quite fast with its processing unit and part. 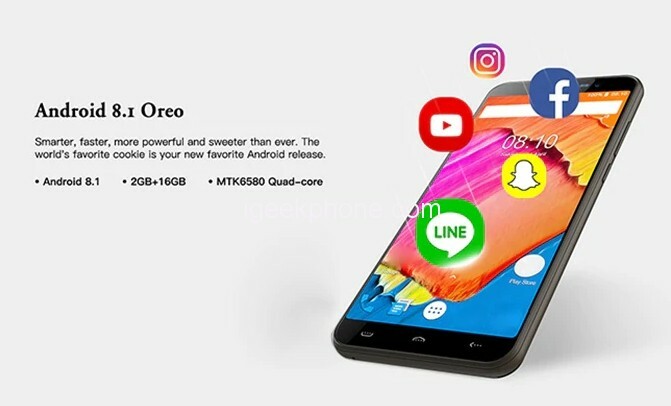 Homtom S17 runs on Andriod 8.1 but S16 runs on Android 7.0 OS. The processing unit also helps to come up with the connectivity of many devices with it. The processing unit and the CPU which is used in the invention is quite good for doing multitasking and processing the advanced apps and feature. On the back of the Homtom S16 and Homtom S17, both have a dual camera with a 13-megapixel Samsung sensor and a 2-megapixel secondary lens. It can be used fa or panoramic shoot with HDR and auto-focus. Homtom S16 and Homtom S17 both are equipped with an 8-megapixel front camera which supports beauty effect and facial beautification. The inexpensive phone can even be unlocked with the intelligent face ID. In addition, it also sports a rear-mounted fingerprint scanner. Homtom S16 and Homtom S17 both budget phones features Wi-Fi, Bluetooth 4.0, GPS for navigation and even a FM radio. For connectivity, 4G FDD-LTE, as well as 3G and 2G are supported too. According to several aspects comparison between Homtom S16 and Homtom S17, they are both budget smartphones which are affordable, Both come with different specs you can check out. So according to what exactly you might be looking, you can find, in Design, Hardware, and Features. 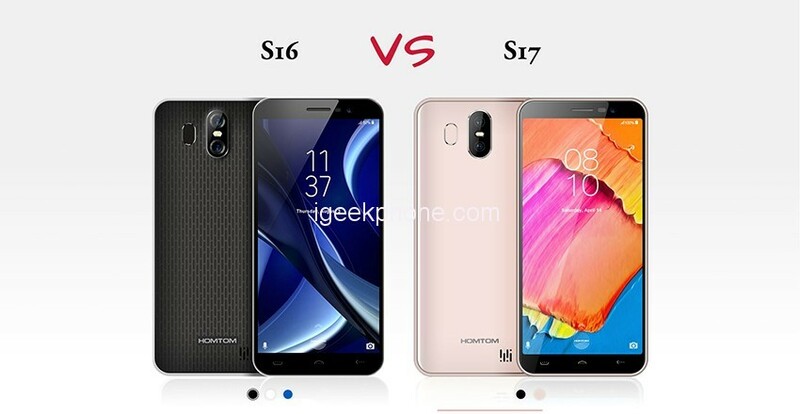 According to the overall comparison with Homtom S16 vs Homtom S17, you will know the main difference and similarity. You can buy HOMTOM S16 at $69.99 and HOMTOM S17 at $69.99, You can know more about Homtom S16 and Homtom S17 Here.